For starters, this is one of the best accommodations I had that is not a hotel. 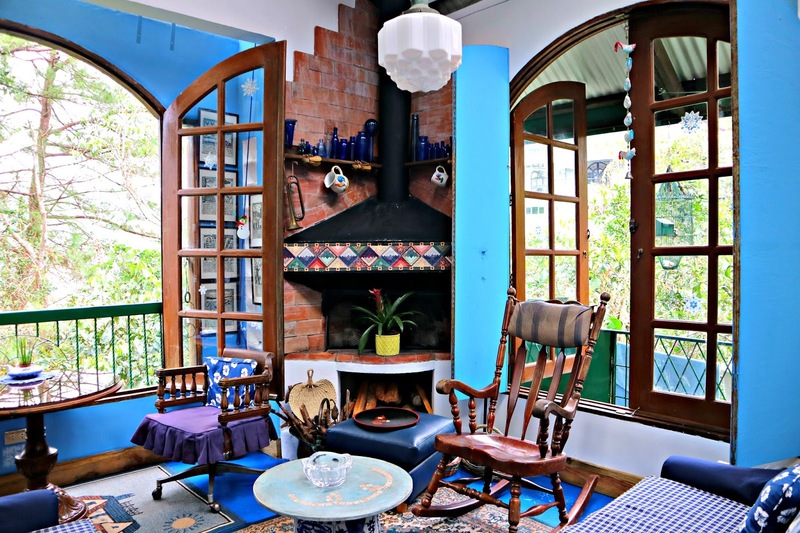 It's quite refreshing to stay in a place where you would live with the locals (Yes, in case you want to book this place, note that you will be staying with the home owners, AKA, the locals). 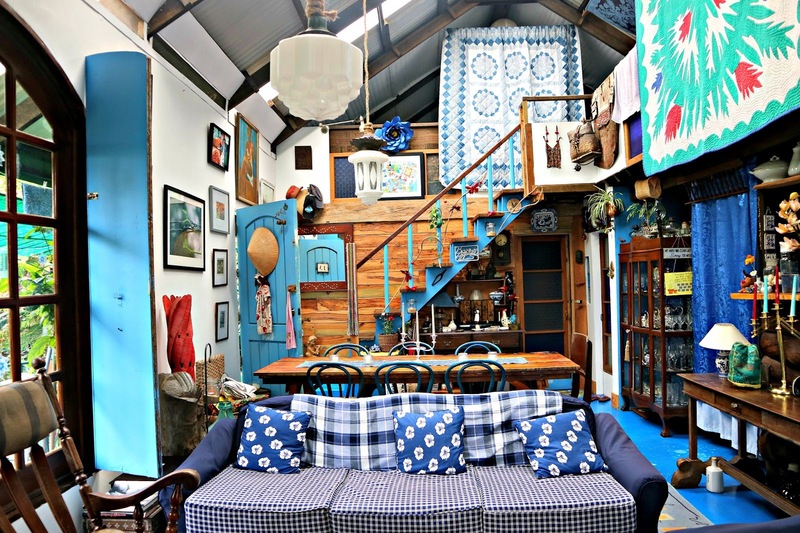 Plus points for the French rustic vibes! So we're originally planning on staying at Kamiseta hotel but for some reasons, the rates suddenly went up and we thought it's not sulit anymore. So maybe when we come back to Baguio, we'll stay there for sure. The view from the loft room. Actually, I think it was a blessing in disguise that we weren't able to stay in Kamiseta Hotel as we were able to experience the French vibes here at Le Coq Bleu (or the Blue Rooster). 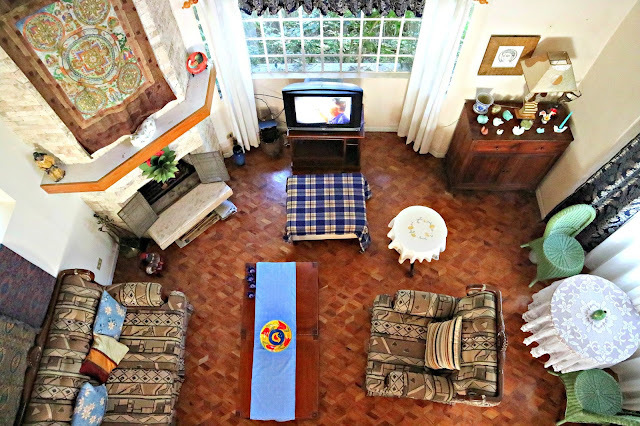 I didn't know this kind of home stay exists in Baguio. Our host, Ms. Chantal made sure all we need is taken care of, and she made sure we feel at home. But without too much effort, we definitely felt at home instantly! The rustic French interiors is so pleasing in the eyes you can have an on the spot photo shoot. Lol! Every time we go to Baguio, we usually stay at Veniz Hotel. But after staying here, I might actually recommend we stay here again in our future visits (of course, right after we try Kamiseta Hotel, Hehe). So we arrived a little earlier than expected and right after having our breakfast at Cafe by the Ruins, we asked if we can checked in already because apparently, we're dead tired from the long drive from Manila. Not to mention that most of us are straight from work. And Chantal, being so nice to us, allowed us to check in a little early so we can take a nap before the long day ahead. But! right after seeing the main house, we couldn't take a nap anymore because we're all amazed with the house. it was so uhmm.. instagrammable! There, I said it. And by the way, they also have another place for rent, which is the Le Coq Floral. The boys stayed there because we couldn't all stay in Le Coq Bleu as the main suite is already occupied by the other guests. And yeah, what can you expect in Le Coq Floral if Le Coq Bleu is already amazing? Le Coq Floral is amazing too! It can cater to huge groups of people as it has lots of room. Plus points for the free wifi and cozy ambiance. Since you will be living with the locals slash the owners, Le Coq Bleu and Le Coq Floral has strict rules, one of which is the 10PM curfew. Gates are closed at 10PM, no extensions. I think it is fine for us though because we don't have anything planned for the night. Chantal was also kind enough to let us use the fireplace while we bond over it. Actually, she's very kind to share some of her stories and how her and sir Boi met. I actually learned a thing or two from her. 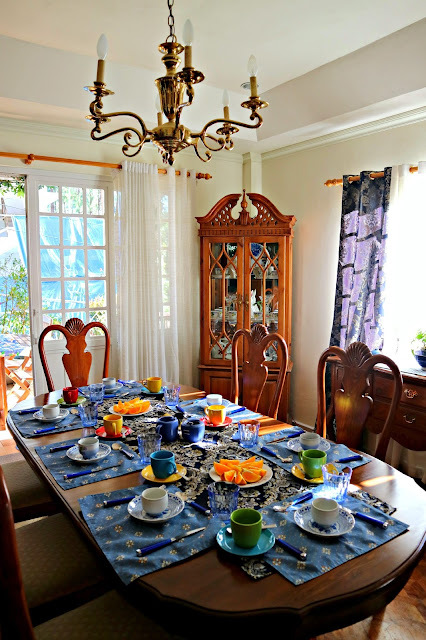 The next day, we had our breakfast at Le Coq Floral which was prepared by Chantal's husband, sir Boi. Mind you, the breakfast was soooo filling and yummy! We had our strawberry yogurt which is so creamy! 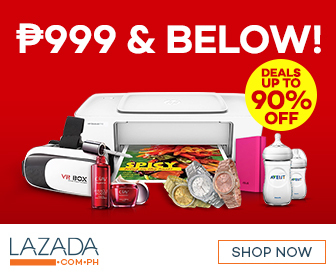 I actually wanted to buy for myself but we no longer have time to visit Baguio Dairy Farm. Sir Boi also prepared wheat pancakes and slices of oranges for us. Aside from the cozy and rustic French ambiance, this is perfect for people who wants a quiet place to stay at. Perfect for dog lovers too as Chantal and Boi have dogs that is roaming around within the house. Though one thing to note too is that since this is inside a residential subdivision, you need to walk for around 1KM to get to the main road for transportation if you don't have your own private vehicle. And since it's Baguio we're talking about, the roads are steep. The city is overlooking from where Le Coq Bleu is located. It is very nature-ish and peaceful. There are no televisions too but who watch TVs anyway when in Baguio? It's a perfect place to talk instead of looking into moving pictures. I didn't know I can experience a little bit of France in this dainty house. I always dream of Europe, particularly France. So until my travel there, our photos here can make up for it. 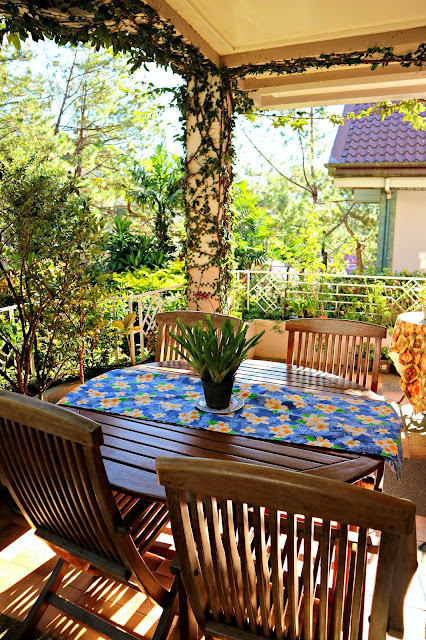 You can stay in Le Coq Floral! Though I'm afraid they're fully booked until December, if I'm not mistaken. You can inquire just to be sure. :) And no worries about the pets, they are very friendly. Omg, this is the kind of place I want to stay in. It's so pretty. Really. Ang ganda :) I love the homey feel and all that. Wow! Makes me want to visit Baguio as soon as possible! Ive been there twice and i still cannot get enough of the interesting places ti visit there. That place looks so amazing and gorgeously crafted! The view from the loft was too pretty! I will take note of this place when i plan for Baguio soon..
You know what? I bet you I would've chosen to stay at the Blue Rooster anyway regardless of whether or not Kamiseta suddenly had inflation of rates. I mean, the place looks like something straight from fantasy books! Natural lighting, the views from the wide windows - it just speaks personality and to me, that's better than staying at a hotel, haha! I love the place already and I haven't been there yet! Thanks for leaving links! Wow! The place is awesome. It's really nice to see colors mix-up with blue dominating every area of the place. I surely would want to stay there when I visit Baguio. Thanks for sharing this one. The place looks lovely and cozy! I am just wondering on the expenses and the prices that we could incur while staying there. 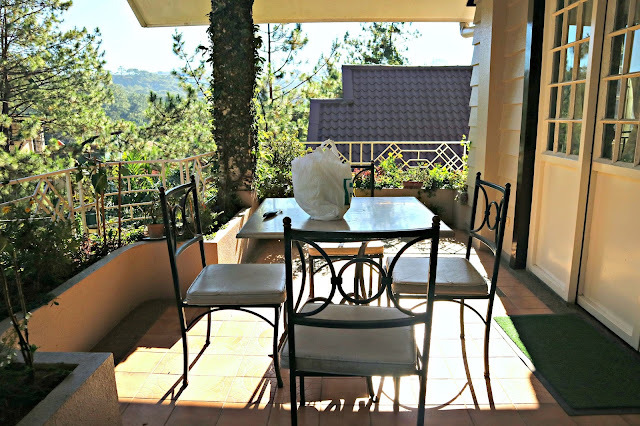 We are planning ourselves to go to Baguio once the heat starts kicking in after the new year and are now looking for a place to book. The place looks so cosy and homey, I love it! The blue accents make the home even more beautiful. The only thing that I wouldn't really like is the fact that there is a curfew. I never know what my plans are, things happen spontaneously and I wouldn't want to get locked on the outside. Thanks for giving me an idea where to stay. 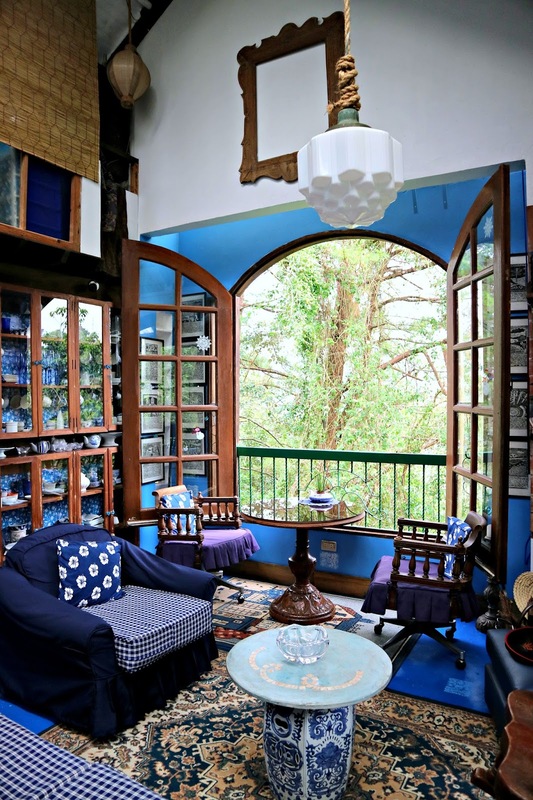 We're planning to visit Baguio by feb and this is one's perfect! The interiors are great! I totally agree when you say that every corner looks very instagrammable! Beautifuuuuul!!!! Ive been to baguio but ee stayed at casa vallejo. We're planning to go back so maybe we can stay there as well. By the way this is airbnb right? I hope we can book here!!! Omgsh! This place is so cute!!! You can find so many great places on airbnb hehe. 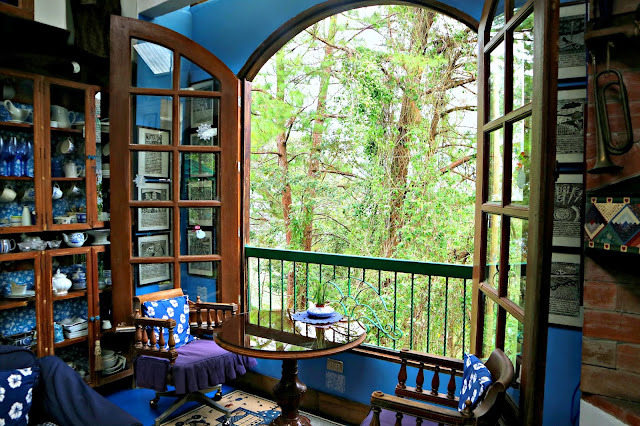 Would love to stay here when were in Baguio! Do you have their contact information please? I don't have their contact number but you can message them through Airbnb. hi..hm overnight for 4 guest?may free parking ba?thank you..